Theoretical chemists at Emory University have solved an important mystery about the rates of chemical reactions and the so-called Polanyi rules. The findings, published in the journal Science, reveal why a reaction involving methane does not conform to the known rules, a problem that has baffled physical chemists in recent years. Bowman published the results with Gabor Czako, a post-doctoral fellow in theoretical chemistry who performed most of the complex computational and mathematical analyses that uncovered the results. Long-range, their findings could play a role in the development of cleaner, more efficient fuels. The reactive properties of methane are of particular interest, since it is an important fuel. Photo by Carol Clark. Understanding the dynamics of chemical reactions is key to driving reactions efficiently, whether in a laboratory experiment or in an industrial application. In 1986, John Polanyi shared the Nobel Prize in chemistry, in part by providing general rules for how different forms of energy affect the rates of reactions. Polanyi developed the framework based on studies of simple reactions of chlorine and fluorine atoms with hydrogen gas. As technology has advanced in recent years, some chemists began testing the Polanyi rules for more complicated reactions, and the rules appeared to break down. 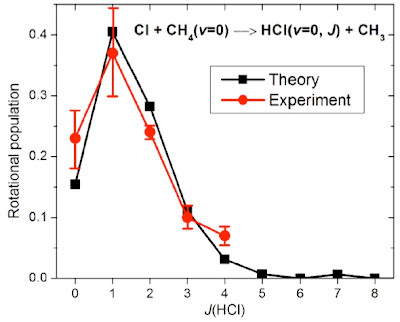 Most notably, sophisticated molecular beam experiments by Kopin Liu at the Institute of Atomic and Molecular Sciences in Taiwan showed that the reaction of halogen atoms with methane did not conform to the rules. Bowman and Czako drew from the computational power of the Emerson Center, specialized software and analytical techniques. They first created theoretical-computational simulations of the experiments done by Liu and others, and then described the results mathematically. Determining why the reactions did not conform to the Polanyi rules was another complicated task, involving quantum mechanics and forces that govern the reaction down to the atomic level. “As theoreticians, we’re able to zoom in and look at the results of our calculations in a way that’s virtually impossible in an experiment,” Bowman says. They identified a subtle interplay between the Polanyi rules and a pre-reactive long-range force of methane with chlorine. If you follow the Polanyi rules, this long-range force, or steric control, will misalign the reactants, preventing them from docking correctly and inhibiting a reaction. But if you apportion the energy in the opposite way to the rules, the misalignment is wiped out and the reaction occurs. 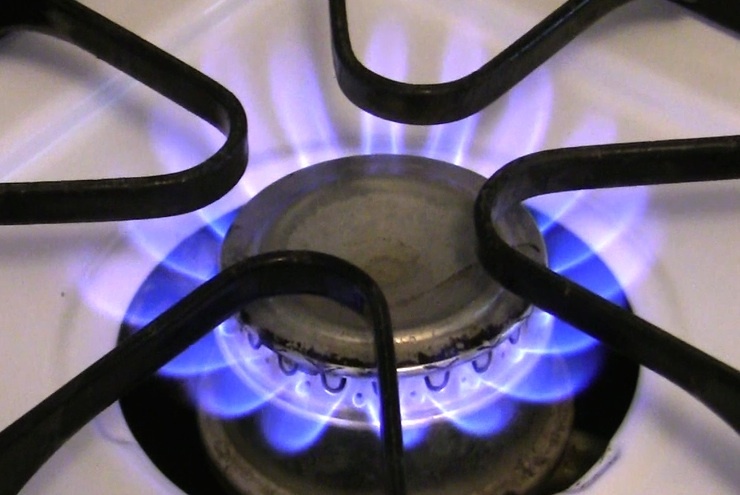 The reactive properties of natural gas are of particular interest since it is an important fuel. Bowman and Czako are now applying their techniques to study the combustion of methane and oxygen, which produces carbon dioxide. “It’s important to understand the dynamics of this reaction, because it might lead to more efficient ways to produce fuel, and a reduction in the levels of pollution emitted,” Bowman says.